Did you know that animal shelters often use small quilts or blankets (called cage comforters) in the animals' cages to provide a soft bed and a sense of security? 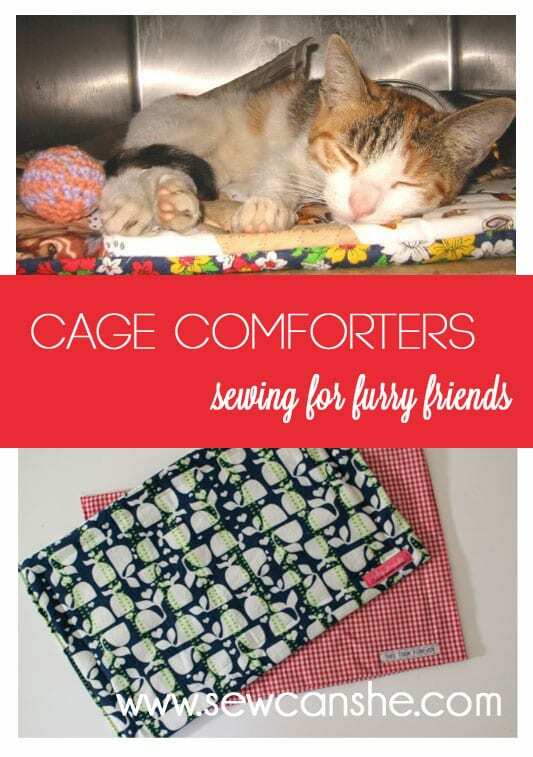 It's a great way to use up leftover pieces of fabric and batting and make something to help our furry friends at the shelters. Have a look at this Quick Pet Bed with this FREE Tutorial.